The SYNERGY series of workshops were developed and organised by Contemporary Art Showcase Athens (C.A.S.A.) in collaboration with AthenSyn. 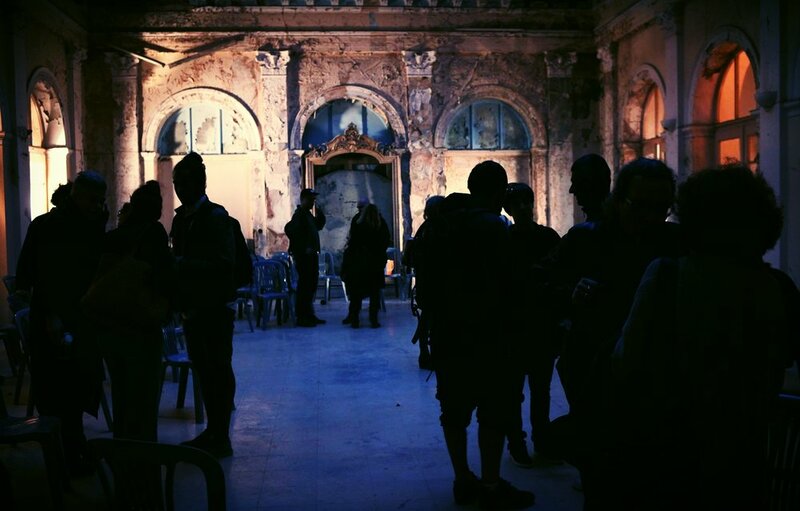 The workshops took place at the Bagkeion, in the context of the Athens Biennale AB5to6 “OMONOIA” Synapse 2. Currently a significant amount of cultural work and processes in Athens are being supported through the work of self-managed, cooperative, and informally structured groups and networks. This hypothesis was the starting point for the development of the SYNERGY collaborative workshop series. In the current local and global environment of precarity, limited access to conventional resources, and in the wake of deinvestment, such groups are rapidly gaining an instrumental, and as of yet mostly un-quantifiable role in providing a ground for developments in a wide range of creative practices and innovations in many aspects of cultural working, making Athens an appropriate place to initiate an in-depth discussion about the dynamics of the ‘solidarity-based creative economy’. SYNERGY puts forward a reflexive model of cooperation, a floating meeting point between independent teams, that moves through the landscape of the alternative creative economy of Athens, a think-tank, a debate forum and a testing ground for the development and implementation of common, shared tools for cross-collaboration, as well as examining the real conditions necessary for joint action, and the potential for the development of future, sustainable, participatory infrastructures. Identifying the need for greater collaboration and coordination across the field and with other partners, the SYNERGY workshops encourage groups and networks with a cultural focus to enter into an accelerated exchange of knowledge in a horizontal and structured manner, with a shared set of goals that include increasing public visibility and awareness, opening up to engagement with international groups and individual collaborators from other disciplines, and combining strengths as locally rooted organizations. At the core of the SYNERGY project were a series of group working sessions between members of the participating groups. The working sessions of SYNERGY focused on the material presented by each team at a time, and were structured in the form of presentations, opening up to a group discussion in the group’s own space, or were integrated into the planned activities of the specific group. A process that ensured that appropriate focus was given to all participating teams, being at the center of a process of detailed cross-consultation with all other groups. Thus each meeting became an in-depth exposure to the processes, range of activities, methodology, social interface and structure specific to each participating group. C.A.S.A in the context of the Athens Biennale AB5to6 "Omonoia"